Shop, shop, and shop some more. Over 460 retailers span The Magnificent Mile alone. Add downtown State Street plus the neighborhood boutiques, and there are bargain deals and luxury splurges aplenty. Welcome to Chicago, the city that feels like home. Here we have a little something for everyone. You can visit world-class museums, dine at one of our many Michelin-star restaurants or catch a show in one of over 200 theaters. No matter what you love to do, you’ll feel right at home doing it here. 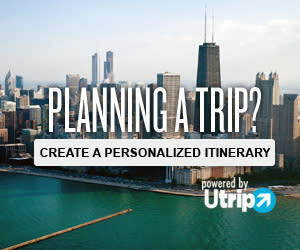 There are plenty of things to do in Chicago, including tours, spectator sports, shopping and other attractions. Our nightlife doesn&apos;t stop either with plenty of bars and nightclubs, live music and comedy clubs. No matter your budget, you&apos;ll find a hotel to match so start planning your visit today!